We have great 2013 Hyundai Elantra research and reviews below so you can start learning about the new Elantra. As the dominant automotive writers performed countless hours of research on the Elantra to provide you with the top information possible. Filled with worthwhile facts and specs, each paragraph gives you full access to everything the Hyundai Elantra has to offer. Happy hunting! When comparing the 2013 Hyundai Elantra next to the 2013 Ford Focus, Chevrolet Cruze, Nissan Sentra, Honda Civic, Mazda3 and the Toyota Corolla, and you'll see that the Elantra outshines those autos in gobs aspects. Check out just a few of the reasons below. 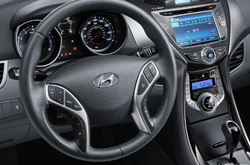 Take a peek inside the 2013 Elantra - view video now! Your Hyundai should be treated properly - that means Hyundai factory- trained Elantra technicians, authentic Hyundai parts, and the tranquility that comes from a 12-month service dealer warranty. Van Hyundai service and auto repair in Dallas is a click away! 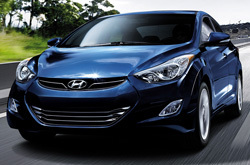 Van Hyundai's skilled mechanics will keep your Elantra in staunch form. In addition to strenuous repairs like electronics maintenance, we tackle less intricate stuff like air filter maintenances - and this is barely a fraction of what we handle. Also come see us for fuel filter replacement, simple oil changes and more. For both challenging and simple services, our Dallas car repair center can manage everything; what's more Van Hyundai offers inexpensive maintenance pricing. Take a look at our current service specials by clicking the link below.